Most of my Milwaukee Brewers content here has been either historical, such as the Hank Aaron’s final home run story. Or you’ll catch me trying to do my best in posting Brewers Week in Review. Once in a great while I’ll even do an old school player profile or have a story about meeting a player as a kid (Lary Sorenson) or an adult (Robin Yount). What I haven’t really done is give you my thoughts and feelings about the team or its players, past or present. Until now. Enough ‘things’ have happened this year in Brewerville that it’s time I took a step back and editorialized. With that, here’s the disclaimer that these opinions are my own and are not representative of the Milwaukee Brewers Baseball Club. So here goes. Oh, I already did it? Well then, here goes nothing…or something, depending on how you look at it. My immediate gut reaction when Luc got traded was “Whaaaa…nooooooooo!” For about a second. Literally. Yes, he was a tremendous asset to the team and will be terribly missed. Yet on the other side I’ve witnessed enough baseball and trades over the years to understand the business aspect of the game. Baseball fans get preached to about the business end of things to the point that every player statement after a big trade sounds like it was read from the same script. One thought, however, that did keep coming back to me after the Luc trade – “This ain’t the 90’s Brewers.” Yes, as I said last paragraph – I have witnessed a lot of baseball. It’s important to add that a lot of that baseball was crappy baseball, and not just on the field. I’m referring to trades that were made “for trades sake.” Whoever said that first was wise. Man, I love that line. All I know is a lot of trades in the 90’s were made with no direction, other than to shed someone who would potentially be earning a big contract. Just look at the purge of players in the late 90’s/early 00’s. Ouch. It’s really easy during a flurry of player transactions to get caught up in the flurry itself, and not see the bigger picture. Heck, I know I’ve gotten confused this past year in following all the player moves. But I’m one guy – and General Manager David Stearns has a team – a think tank of people dedicated to emulating the successful path the Cubs, Royals, Astros, and others followed. Trade away the guys who are gonna cost some bucks, rebuild the farm, and patiently wait for the young talent to either sink or swim. Rinse and repeat. Love it. Haven’t seen it in Milwaukee in a long time, but the first real example I can remember is probably 1976-ish to 1978. We need to see it again. I find it fun to hear about players well before they get to the big leagues – like a Lucroy or Prince Fielder (and I’ll get to him shortly). Of course not all of them can make it to the bigs, but man it’s fun when they do. I’m looking at you, Orlando Arcia! I know I wasn’t the only Brewers (or baseball or Prince) fan that had a broken heart this past week. We all know athletes have to retire sooner or later due to the ravages of time, but I think sports fans would rather see them retire on their own terms. Hank Aaron didn’t have much of a batting average and only hit 10 home runs in his final season with the Brewers. In his 40’s and with some knee issues, Hank decided to hang it up. Yes, he could have stuck around and played designated hitter for at least a couple more years, but made the decision on his own. 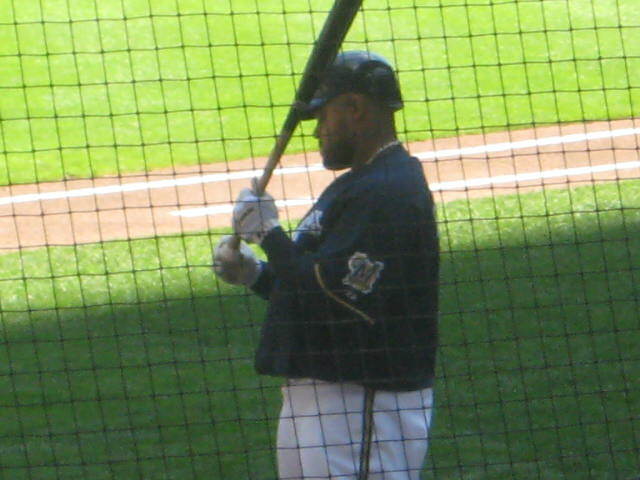 The Brewers would have probably kept him around too as a way to put a few more butts in the seats, especially since they pretty much sucked. But Hammerin’ Hank retired on his own terms. I wish he had the opportunity to make the choice for himself. Like Sal Bando, I harbor no ill will toward Prince. I loved the way he played the game and yeah, I would have preferred he remain a Brewer forever, but baseball is a business too. I may have made the same decision in leaving Milwaukee, but I was a sucky player so we may as not even speculate on what I would have done! One thing that really irritated me during the whole will he/won’t he stay in Milwaukee saga was the “Maybe Prince will stick around and give us a hometown discount” comment I kept hearing. Arrrggghhhhh!!! First off, it isn’t his hometown! I mean, I guess I see the logic because he was drafted by the Brewers and came through the system. But players don’t generally give a home town discount. What the hell is that anyway? They’re on the road half the year and live in hotels and apartments. Who sticks around after the season to live in Wisconsin? Not Luc. Not Fielder. Ken Sanders, Jim Gantner, Gorman Thomas, and Craig Counsell are a few that come to mind. Hometown discount my (thought trails off into expletives)…. In all seriousness, I am grateful for a lot of memories (that I won’t list here) of watching Prince have fun playing the game. Business of baseball aside, the guy knew how to have fun while playing hard. He clobbered home runs in key situations and struck out with the bases loaded too. Just those aspects alone reminded me of some of my childhood heroes – and Gorman Thomas is a good example. But his good natured fun-loving side also was a throwback to guys like Thomas, Robin Yount, Pete Vuckovich, Paul Molitor, and many others. I will miss Prince. By the time you read this the whole Carlos Gomez saga may be a moot point. As I type every Brewers related blog and news source has covered Gomez being available for trade – at least twice! My thought is if he (or any other former Brewer) is available and the price is right, then why not? Jeff Cirillo came back twice. Chris Capuano is on his second tour of duty, albeit on the disabled list. How many times did we re-acquire K-Rod? Don’t answer that. The question is – does Gomez fit in or does my Too Much CarGo title reign true? David Stearns can answer that. Joe Schmoe blogger can play armchair GM. Well, some other Joe Schmoe blogger. Not me. Carlos was another player I enjoyed seeing on the field, mainly due to his aggressive play and love of the game. 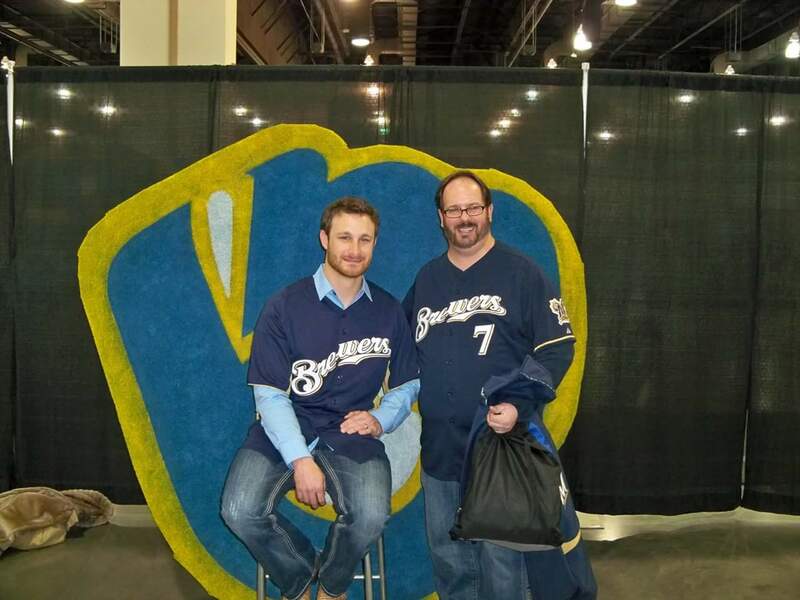 As Brewers fans know, he came with some baggage (CarGo – ha! Oooh, that’s bad. ), but played to most of his full potential with the Brewers. I think it says something that he has been with four MLB teams and has stunk it up with three of the four. One thing I read after the Lucroy trade – and forgive me because like all of you I’m inundated with internet articles – is the Brewers are poised for 2018 and beyond. I like that thought. Luc may be gone, Prince may be really gone, and who knows where Gomez goes, but these ain’t your 90’s Brewers. I have a lot of hope for a positive future in Milwaukee.